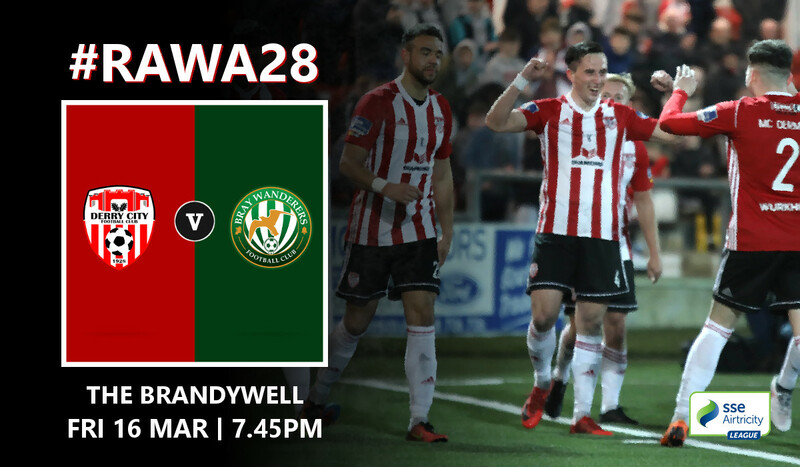 Kenny Shiels has had little time to dwell on his side’s emphatic win over Limerick on Monday night as the Candy Stripes prepare to entertain Bray Wanderers at the Brandywell on Friday evening (7.45). The City boss admitted that the “return home” had been a factor in Monday’s win and he hoped the local fans would be in good voice again at the weekend. Shiels might finally be seeing a flicker of light on the injury front as he looks set to welcome David Hopkirk into his weekend squad. He will still have to plan without long term absentees such as Gavin Peers and physio Michael Hegarty continues to be kept busy. Jamie McDonagh was forced off through injury last week and remains an injury doubt. Debutant Jack Doyle impressed on his debut and may retain his place on the left hand side of defence. City had experimented with a three man defence but returned to a flat back four after last Friday’s heavy defeat. Postponements of the club’s next two games against Dundalk and Cork will buy the City manager a little more time, but with a number of players called up to both the Northern Ireland and Republic Of Ireland side, he will be hoping for no further injury news. Shiels will hope to keep the side fresh by playing the annual Billy Kee Memorial Cup game against neighbours Institute next Friday night.